How did medieval people make sense of their surroundings, and how did this change over the years as understanding and knowledge expanded? This new Seminar Study is designed to familiarise students of medieval history with the ways in which medieval people interpreted the world around them – how they rationalised their observations, and why they developed the models for understanding that they did. Most importantly, it shows how ideas changed over the medieval period, and why. 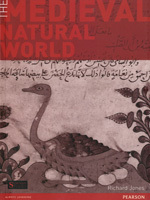 With extensive primary source material, this book builds up a picture using medieval encyclopedias, prose literature and poetry, records of estate management, agricultural treatises, scientific works, annals and chronicles, as well as the evidence from art, architecture, archaeology and the landscape itself. An excellent introduction for undergraduate students of Medieval history, or for anyone with an interest in the medieval natural world.